Status shows more than 40% of blockchain related companies are established in 2017. This means those newly established companies are pursuing fast growing in 2018, and we are expecting more startups to join in the industry in the year. 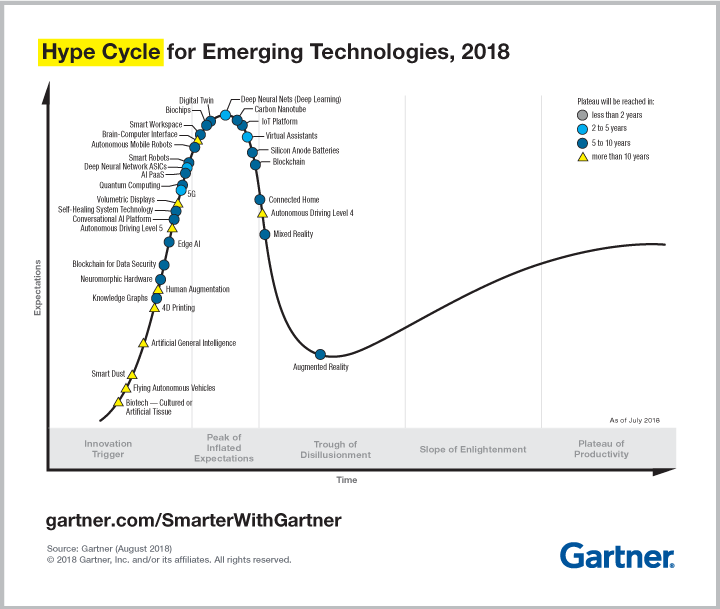 According to the Hype Cycle for Emerging Technologies 2018 published by Gartner, Blockchain has just passed the peak of inflated expectations. This means the boom of the blockchain and its related FinTech companies will start to slow down and the market will get more rational and start to put theory into real practices to reveal how this wonderful futuristic technology can improve our future life. The Philippines too this into further step, the central bank of the Philippines, Bangko Sentral ng Pilipinas (BSP), has accredited several crypto exchanges this year. 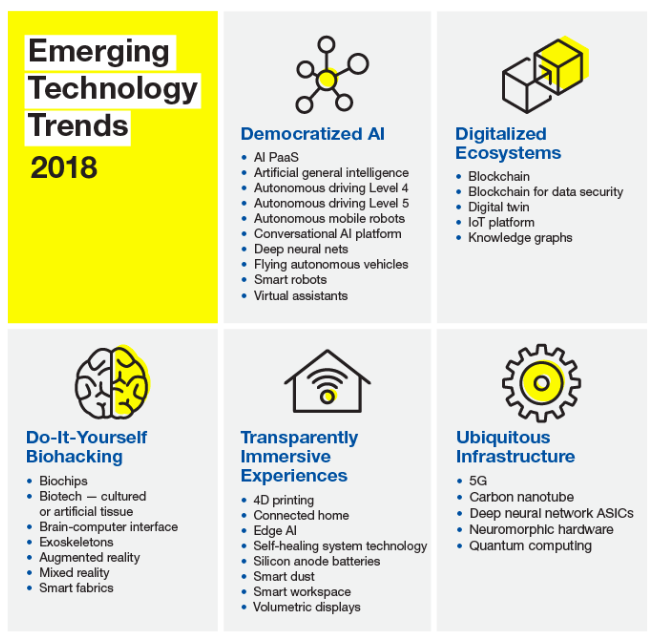 The great news is that FinTech and Blockchain technologies are still among the most trendy technologies in 2018 on par with others, such as AI PaaS, Autonomous Driving, Mixed Reality, and 5G. We believe it’s a great time for the industry to really talk about how to fuse the technology with the real market and generate the true value that can drive the economy. Being a digital marketing firm, AMG Network (www.amg.onl) has been helping several Blockchain companies, as well as cryptocurrency exchanges to engage the emerging market since 2017. Together with the business partners, AMG chose Manila, Philippines to host the Asia Fintech and Blockchain Summit 2018 (AFBS 2018). This is a respect to the openness of the Philippines, and recognition of the fast-growing market in Southeast Asia. The main topic of this summit is “Fusion of future technologies and Finance in Practice”, which is to emphasize the goal of this event is to drive the application of FinTech and Blockchain. 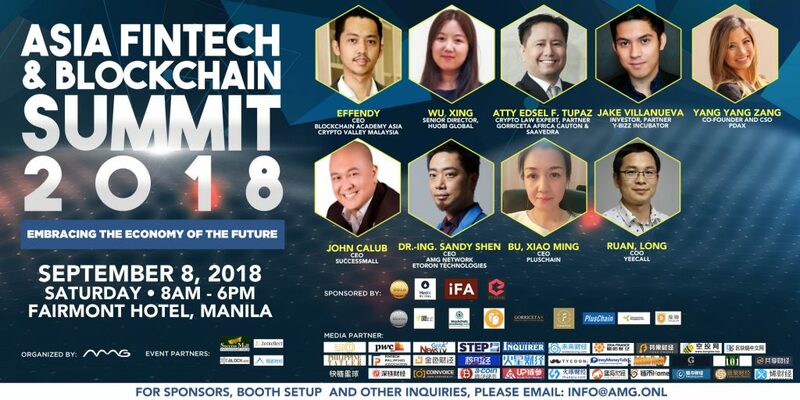 The summit is recognized as the first international summit of such kind in the Philippines, which gathers Exchanges, Blockchain Startups, future E-commerce, Marketing, and Law partners from different countries of Asia. Sponsored partners include but not limited to the world 3rd largest exchange Huobi Global, Blockchain Academy, Block Valley Malaysia, YeeCall, PlusChain, and the ones from local business, such as SuccessMall, PDAX and so on. AFBS2018 will collaborate with media all over the world to cover every perspective of the event and knowledge shared during the event. The organizer said that all media partners will leverage their best resources to share the progress, highlights, as well as the key values generated by the summit to all the audience who are highly interested in this industry. We are looking forward to bring you more updates about the summit, and you can also find their latest progress via the website www.afbs.pro.